Use this miniature nozzle cleaning tool to remove dirt and sediment from nozzle jet orifices. Miniature nozzle cleaning tool has a spiral cut, tapered stainless steel shaft to efficiently remove sediment from jet orifices. Specially sized to clean the nozzle jets on all Clog Hog drain cleaners, without jamming. Includes a reclosable, plastic storage tube. 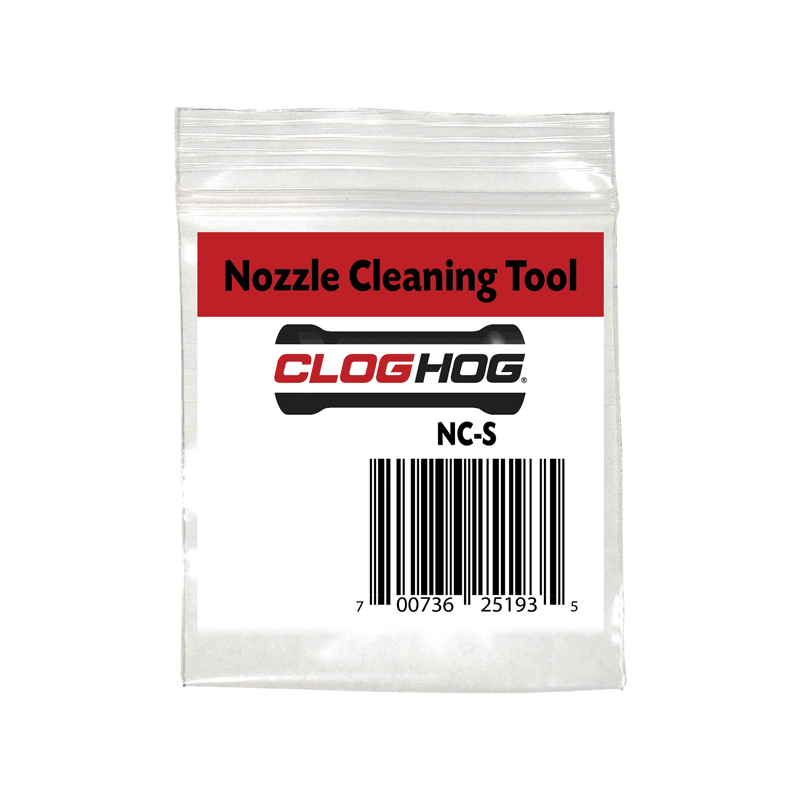 This nozzle cleaning tool is compatible with all Clog Hog drain cleaners. Shipping rates are calculated by UPS and the U.S.P.S at checkout based on weight, dimensions, address and any special options you choose. We will send you a confirmation email as soon as you submit your order. 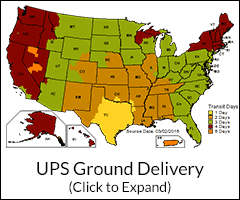 This UPS map shows estimated business days in transit for UPS Ground. For faster delivery you can choose added-cost UPS Next-Day Air or Second Day Air when you check out. You can also choose U.S.P.S. Priority Mail or Express Mail service. After ordering you can visit the Order Status Page and enter your order number and email address to view the real-time status of your order. Click the Compatibility tab for help to choose the right items. Enter your correct shipping address, contact information, and pressure washer information in the shopping cart. Provide your street address (no PO Boxes) if shipping by UPS. Note: Our shipping facility operates on the same US business days as UPS. Click Add to Cart to add your items to the shopping cart. On the Cart page, choose your Country, and in the Zip box enter your postal code. Click Update Totals to view the shipping rate. Note: international shipping is provided by U.S.P.S. Priority Mail. Rates are calculated by weight and destination. Your national postal service will deliver the purchase from customs to your address and may charge local tax. Backlog in your local customs can sometimes add 1-2 weeks to the delivery time. On the Shopping Cart enter your shipping address and order details. Next-Day and 2nd-Day shipping rates are shown on the following page. Note: if you will choose Next-Day Air you can also Check for added-cost Saturday delivery on the shopping cart Address page. Next-Day and 2-Day Air are available only to US addresses.